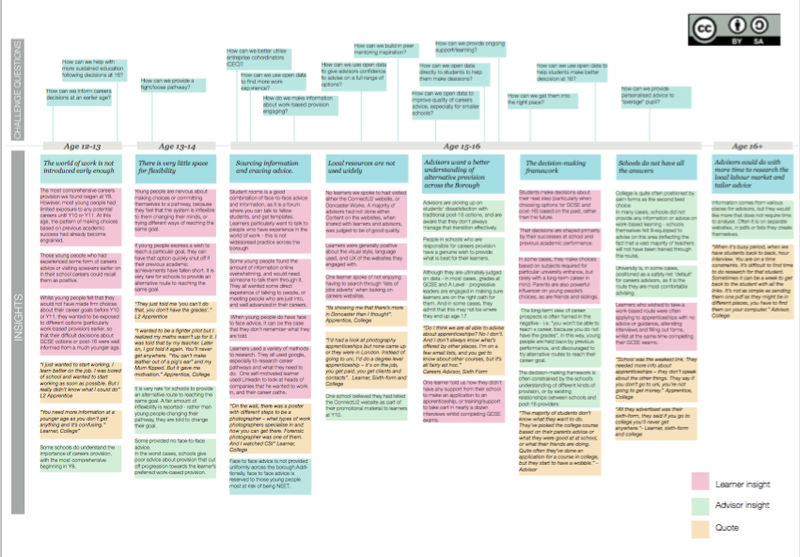 User journey visualising the needs and paint points of pupils, advisors and teachers. Doncaster Council explored the careers information, advice and guidance service for young people across the borough. Currently in Doncaster, careers data is fragmented and difficult to access. We have been aware for long enough that young people aren’t achieving their full potential in Doncaster, and that the quality of the careers advice they receive relies too heavily on the quality of face to face provision. The evidence base locally and nationally evidence has confirmed this in the last two years.The solutions that have emerged have too often failed to make the transition from teacher-centric to pupil-centric driven advice, despite clear recommendations for change from, amongst others, the Gatsby Foundation, the Edge Foundation and the Education & Skills Commission over the past decade. The team explored helping young people get better, tailored information about their career options for training, education and employment. 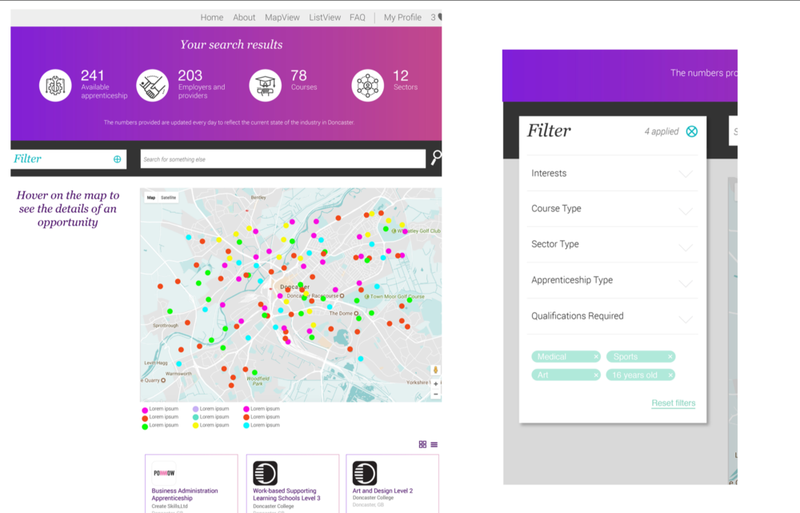 This South Yorkshire council also worked with Uscreates to design a data-driven tool that provides young people with information about training, education, and career options. The project is part of the ODI’s £6M three-year innovation programme, which has an overall aim to build data infrastructure, improve data literacy, stimulate data innovation and build trust in the use of data. screates also worked with Doncaster Metropolitan Borough Council around opening up data on careers, employment and education options to help young people make informed choices about where to study. In Doncaster, open data has been used to democratise careers advice for learners. "By incorporating service design, co-production, design research and behavioural insight across education, we are already able to draw on a deeper understanding of the habits, behaviors and motivations of residents." The project has now received a further £100,000 in funding from Doncaster’s Social Mobility Opportunity Area Board to invest in developing a fully functioning prototype. Over the coming year, the ODI will work alongside its service-design specialist partners to help build more open data-powered tools and platforms for use by local authorities and other public-sector entities.